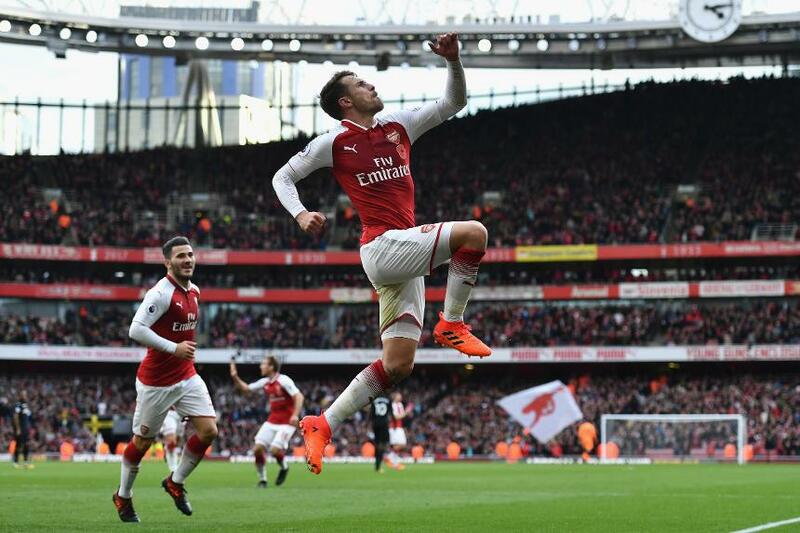 Aaron Ramsey scored his 50th goal for Arsenal, on Arsene Wenger’s 800th Premier League match, as they beat Swansea City 2-1. Sam Clucas put the visitors ahead with his first goal for the club after a pinpoint pass from Tammy Abraham and they could have led 2-0 at half-time but Petr Cech denied Jordan Ayew. Sead Kolasinac equalised for Arsenal with a fierce left-foot shot from 14 yards, before setting up Ramsey for the winner. In-between the goals, Abraham had an effort ruled out for offside. The victory takes Arsenal to 19 points in fifth while Swansea are in 17th.